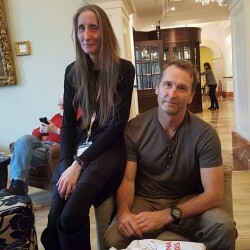 The End of the World Running Club... - Liz Loves Books.Com. 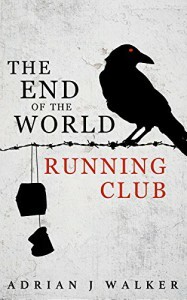 Before reading "The End of the World Running Club" I'd heard a few things about it, both good and bad, turns out that it gets points from me mostly for addictive quality and for its main character, Edgar, who seems to have divided opinion - but who I loved because he was so utterly whiny yet absolutely determined. Poor Edgar. Really. He drinks a fair bit and is not that fit, he's not particularly happy with his lot in life, finding family life somewhat mundane. Cue fiery asteroids from outer space decimating the UK and elsewhere, enforcing upon him some kind of actual responsibility. The beginning of this novel was superbly engrossing, as things go pear shaped in spectacular fashion, descriptively you are right in there with the desperate survivors, I read the first 25% of this novel in record time. Then things settle down somewhat with more introspection from Edgar when his family are swooped away and he has little time to do anything except, well, run after them. Teaming up with a hotch potch of other survivors a kind of twisted type of road trip begins as Edgar attempts to catch up to his family before they are beyond his reach. Literally by running after them. Across destroyed landscape, facing down danger and erm ok he's still a bit whiny really. But it is SO ENGAGING. The rest of the story also encompasses a sort of coming of age for Edgar as he realises what is actually important, hey it doesnt matter how old you are you can still suddenly come into your own. I liked this aspect of the story very much. As for Bryce well. I'm not even going to go into that, he was our light relief and our conscience in a lot of ways - definitely a character I'd like to know more about away from the rest. Little small request to the author there perhaps? Overall I really enjoyed this one, I read it over 2 sittings whilst gulping down lots of cups of tea, it is one of those books that you just bang through because you have to know where the journey ends. I was rooting for Edgar and wanting to slap him for the majority of the time, equalling a recommended tag from me.